Jesus was into full disclosure and transparency. What He saw His Father doing is what He did. No cover ups. No secrets. In fact, Jesus came to reveal the mysteries of the Kingdom (Government) of God. His Message is all about revealing secrets. He calls on me to do the same. God’s goal for me is to make known what God is up to. Let everyone in on the secret. I am to be a light for Jesus. 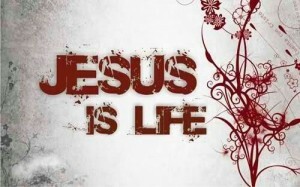 Jesus is life!